Welcome to Union Point! A wonderful sun-splashed colonial featuring 3 beds, 2.5 bath & 2, 338 sq.ft. 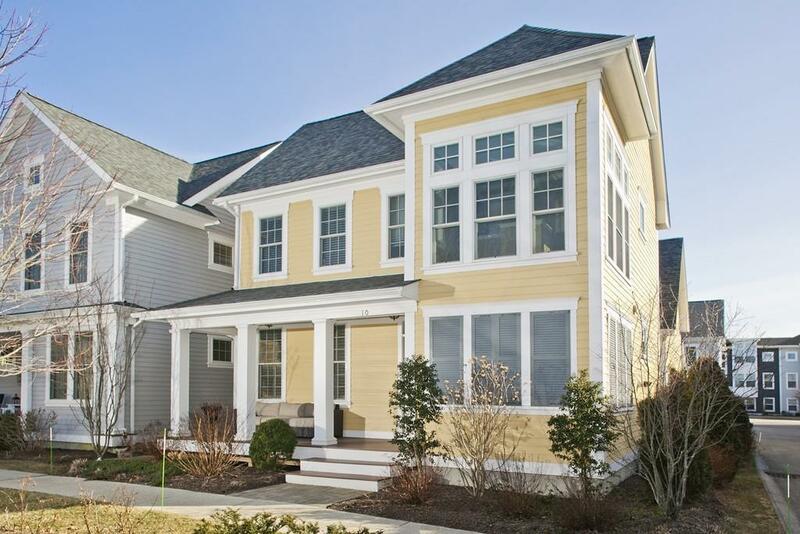 of luxury living all just steps away from S.Weymouth Commuter Rail to Boston. Built with a keen-eye for design this property features high end finishes with open floor plan, crown molding, distinctive hand hewn wood floors, gas fireplace, custom built-ins, stainless appliances, granite counters, kitchen island and dining room w/ custom wine closet. First floor laundry room and mud room both feature custom built-ins and lead to oversized 2 car attached garage. Second Floor boasts a master suite wing with a 12x14 sitting room, 2 huge walk-in closets w/ custom closet systems and master bath with tiled shower-Nice! Also featuring large bedrooms with lush carpeting & closet systems and a huge full bath with quality finishes. House is wired for both security and sound. Exterior features include a front porch and private patio area. Ready to show!